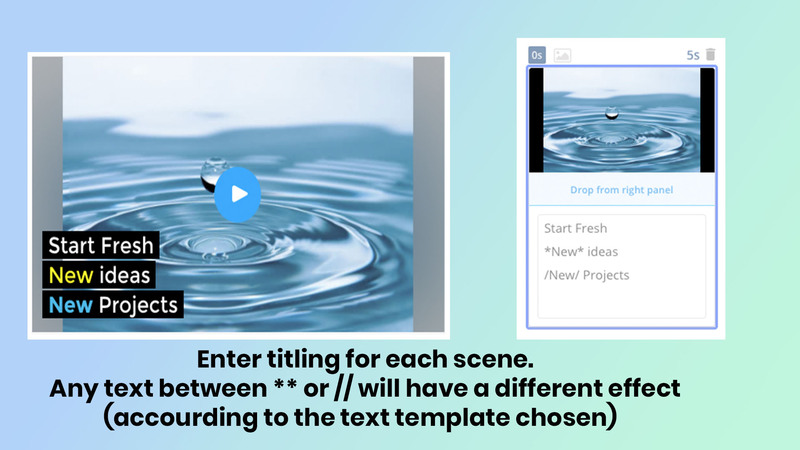 Type your text on the box on the bottom of each scene card. 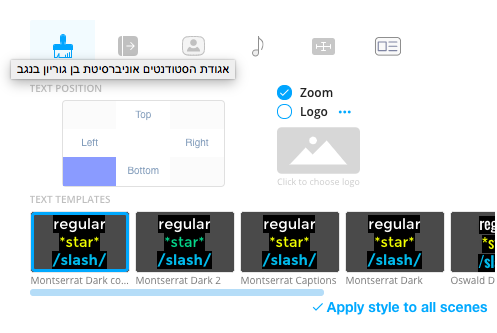 Type the text between star symbols "*text*" or the forward slash "/text/" to change the color and type of your fonts. Select "Apply style to all scenes" if you want all of the titling to be the same in each segment or choose a theme for each segment. You can customize the titling theme in "Chanel Branding".